Antioch Community Church began in the spring of 1987, when five families launched out to plant a work that we believed would be God’s answer for all the problems in our county. Boy, were we young and naïve! Twenty-eight years later, we can look back and see God’s hand of faithfulness as He guided us, matured us, sometimes disciplined us, always reminding us that of Him and through Him and to Him are all things, to whom be glory forever. (Romans 11:36). 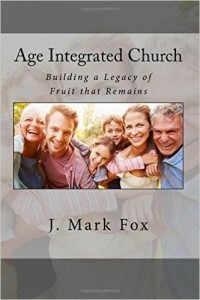 We are Christ-centered, Age-Integrated, and elder-led. We believe in the authority and infallibility of God’s Word. We believe that salvation is by grace and through faith, not of works. We believe that Jesus Christ is fully God and fully man and the only mediator between God and man. We believe in the Trinity: God the Father, God the Son, and God the Holy Spirit. We embrace the reformer’s creed: in essentials, unity…in nonessentials, liberty…in all things, love. To reach, build, and train families, singles, and students to respond to God with their whole heart, realize their calling, develop caring relationships, and go into all the world to help fulfill Christ’s Great Commission. 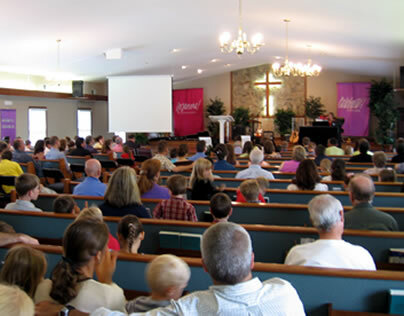 To provide a Christ-centered service of worship every Sunday where the whole congregation will come together to hear the Word preached and interact with that Word in singing, prayer, giving and fellowship. To provide home-based gatherings once a week for all of the congregation to come together to encourage one another, to study the Word or special topics in the Word as directed by the elders, to pray for one another’s needs, and to reach out as a group to the lost and unchurched in the community. To submit to the Lord’s leadership of Antioch Church through the elders, and to support them in prayer and encouragement as we “follow their faith” (Hebrews 13:7). To provide an environment where the fathers will be challenged and equipped to lead their families, and where every ‘program’ or ‘ministry’ of the church that is directed to children will help to ‘turn the hearts of the children to their father’ and to the Lord. Antioch’s “life verse” is Revelation 3:8. I know your works. See, I have set before you an open door, and no one can shut it; for you have a little strength, have kept My word, and have not denied My name. By God’s grace, we will continue to serve Him in His strength, keeping His Word, proclaiming His name to the nations. Will you join us?